The captain takes over. I’m all in this Feburary. This week is a week after a grueling Preliminary Examinations week, results from these exams also came out with it, and it came out somewhat mixed, some exams I got high scores (even coming up on top in one of the exams), while others came out a little lower than expected. Fortunately, I passed in every subject I’m taking this prelims period. Including the two other major tests that we took this week. But before the results came out, I did took time off from schoolwork for I was exhausted after those exams, where I did my best taking a good time away from the usual student routine by hanging out in different places, either on my own by hanging out at a Starbucks branch nearby or with my family in Greenhills to go to church and buy things. As well as getting myself a new haircut and use wax on my hair. Even to the point I’m not answering questions about schoolwork from my blockmates. Don’t forget the fact I’m filling up my planner with every day that pass by. January is coming to an end, and February is inching closer with every day and every hour, and it’s going to be one busy month for me, as projects that are needed to be addressed will be done. Including two projects where I’m leading the way. 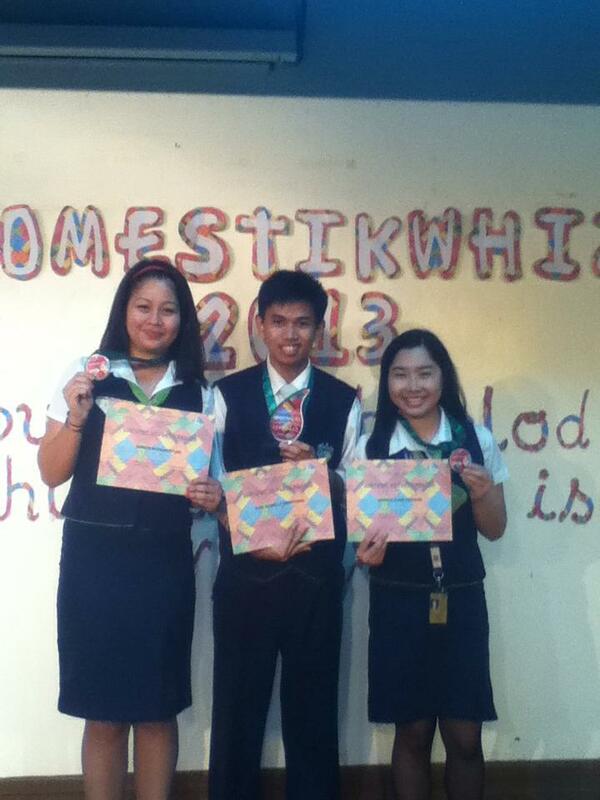 Aside from those schoolwork that will be addressed, I will have a couple of competitions to end the school year. It will also be the last two competitions with the whole team (with two senior teammates before they graduate) which has been a great honor to have been their teammate, and the other one I will compete all by myself. So right now, I’m preparing myself for these competitions I will take on next month as well as savoring the moment of representing the school. Also, I have to think of some things to do when my blockmates and fellow batchmates go to Korea in the middle of the month, while I’m staying here in the Philippines. I’m thankful for the opportunity I have been given over the past couple of months and I look to take every advantage and opportunity I can grasp on my hands today. I will do all the pursuits I am taking in my life with all my best and I will never stop in making a good name for myself. Loaded up and all in for the tasks at hand. Brand new year, life rolls on. A new year has come upon us, as we are still fresh from the coming of the year 2013, aside from writing my weekly NBA blog on this blog entry, I have not written a blog entry outside of the NBA since the start of the year. So this is my first life story blog entry of the year. 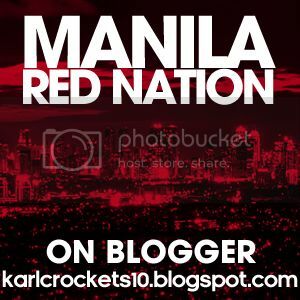 It has been long overdue, since I could not buy time to write a blog entry, especially with the busy schedule that I had in the past few weeks. Now that I have the time in the world to write this blog entry, let’s get to it. For the next few weeks, we had to scramble and work hard to get to all our requirements done both at home, in school and on the field. There were plenty of things to do once we came back in school, that is one of the reasons I have not been writing life story blog entries this year until today. Also, I made at a time the most difficult (in a sense horrible) decision I had to make in my entire life. When I decided I will not participate in the international tour we are going to have next month. It would have been my first time going out of the Philippines if I came along, however there were a lot of things I had to consider in that decision and it was not the destination I was aiming for. Fortunately, it had a silver lining, turns out it was a good call on my part, so my international travels that I aim for will have to wait. One day, I’ll be out exploring the world, but definitely, I have no plans of living outside my beloved homeland the Philippines. Then came the Preliminary Examinations (Prelims) Week which happened this week, my prelims week lasted only three days from Monday until Wednesday, but we took one exam the week before, and there will be 2 more exams next week. Well, it was a mixed exams week, some were easy, others were just right, and of course there were some that were difficult that literally got D-Rose‘d. Also I had to bear the unforgivable mental lapse in some of the tests which cost me some points. *D-Rose‘d – remember when Derrick Rose tore his knee in last year’s NBA Playoffs, well that’s what I felt (not as if I broke my legs in a basketball game) after that test. Well as a sports fan, it’s been a mixed start to my 2013, the Houston Rockets had a great start to 2013, but they‘re on a losing streak right now. The Texans lost to the Patriots in the NFL Playoffs, while my bet Rain or Shine got swept by Talk ‘n Text in the recently concluded PBA Finals. Well, it’s a long year, and there are plenty of things that will happen this year. Also, early in the year, I tried having an ask.fm account, ask.fm is a new site where people ask people random questions whether it can be about sports, lovelife, life stories and everything else, at first it was good to have that account, however when the questions people wrote on my profile got more foul, I had to close my account forever. As the saying goes “Haters gonna hate.” and this has no connection with either Heat forward LeBron James nor singer/rapper Drake. 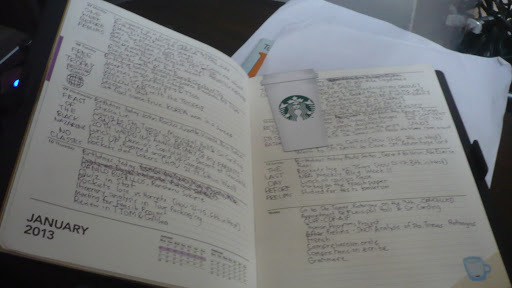 As my planner for 2013, starts to fill up with stories I have so far over the course the year. Expect, that 2013 will be a great journey worth taking, it’s still early into the new year, and the journey rolls on. A fresh start is upon us. 2012: One hell of a year for me. Thanks for all the memories! It’s December 31, 2012, who would have thought we would make it to this day, after the biggest comic epic failure of the century happened 10 days ago with the end of the worldnot coming to fruition, bringing doomsday preppers and believers into utter disappointment. Well it has gone and passed. Just like the year 2012 will be in a couple of hours. 2012, has been one hell of a year for K-Smoove with all the good and challenging times that life has to offer. So here are some of the highlights of my 2012. Well 2012marked the year I turn legal, as I celebrated my 18th birthday on April 30, where I had a simple house party with my friends with some delicious food at home. I was supposed to register for the upcoming 2013 elections. Unfortunately, I was too late to get register, and I will have to wait for the 2016 elections. It also marked the end of the Quadricentennial celebration of the University of Santo Tomas where we were all witnesses to usher in the Neocentennial Yearof the university, we were also witness to a once in 50 year spectacle called Velada Tomasina where we came to school wearing Filipinana clothes from Barong Tagalog to the Baro’t Saya, and to cap the celebration with a university party and the ever-famous fireworks around the university. 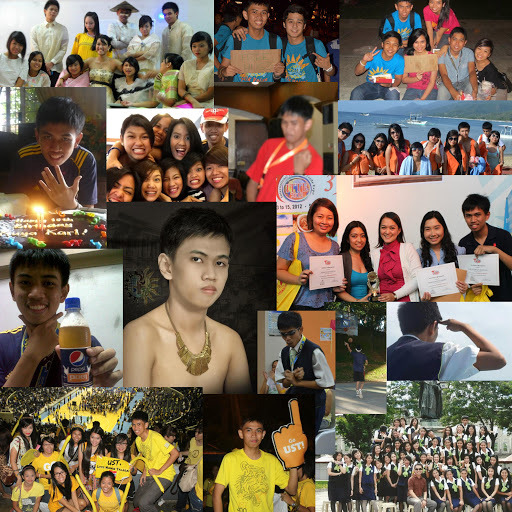 I got to hang out a lot with my friends this year, whether we’d go out to do a school project, a ordinary school day, watch UAAP games live at the venues, a summer time birthday party, university events like the Quadricentennial Closing and Paskuhan 2012, college events like the CTHM Sportsfest and CTHM College Week, watching WrestleMania 28 at TriNoma or a reunion + basketball with my high school friends. I had a great time with all my friends this 2012. 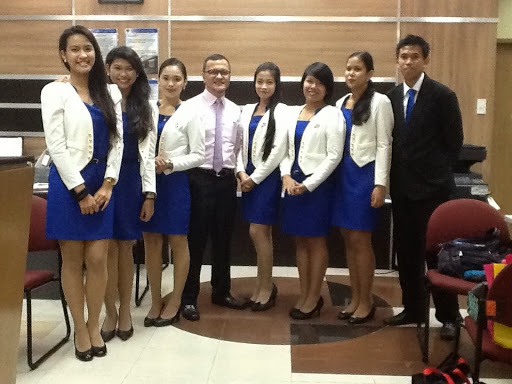 It was a fun time hanging out with them and it brought meaning to my year. I also got the opportunity to meet a lot of people along the way, from within my own college CTHM, to fellow Thomasians outside of my own college, and the people I meet on Twitter or Facebook. My world just got smaller in 2012! There were also times of victories in which I finished 3rd in our class at the Tour Guiding examination, the success of our class event “Silhouette: A Glint in the Dark, The Search for the Next Miss Tourism Ambassadress 2012″ (where I fondly remember of being the “Devil’s Advocate” of the preparation process. 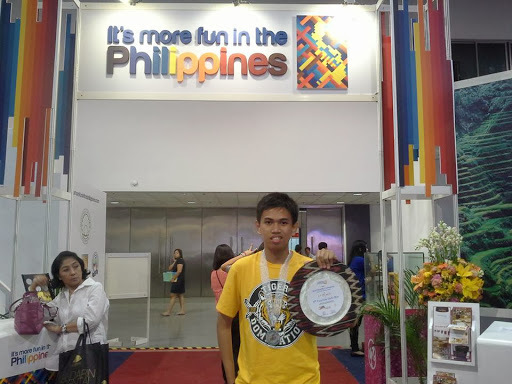 ), and of course Team UST-CTHM‘s victory at the 2012 International Tourism and Trade Expo where I was a part of the winning team. I really hope for more success in 2013. There were also times of defeats and challengesfor me, especially not winning a post in the class, there were also a couple of heartbreaks which will not be mentioned on this blog entry, not making the Dean’s List for two consecutive semesters, not making the Top 10 of my first competition representing UST-CTHM, and all the struggles of the average student. These challenges though made me a strong as the days progressed this 2012. Of course, all the family bonding we had this year with our relatives, from weddings to birthday parties, to reunions, outingsand Christmas celebration. It was all worth the time spending with my family and relatives. Since I’m a sports junkie, I also would like to talk all the biggest sporting events this 2012 from the London Olympics, the Miami Heat winning their second NBA championship (LeBron James finally gets the ring), Talk ‘n Text, B-Meg (now San Mig Coffee) and Rain or Shine winning PBA titles in 2012, the New York Giants defeating the New England Patriots once again in the Super Bowl, the San Francisco Giants winning the World Series, Sebastian Vettel and Red Bull winning in Formula 1, UFC matches (St-Pierre vs Condit, Silva vs Sonnen II, Henderson vs Edgar II, Dos Santos vs Velasquez II to name a few), Ateneo defeating UST for a five-peatin the UAAP Basketball Finals, but UST gets their revenge in the PCCL vs Ateneo, San Beda defeating Letran in the NCAA, Philippine Azkals games from the Suzuki Cup to all the friendlies, Chelsea defeating Bayern Munich on their home turf in the UEFA Champions League Final, Manny Pacquiao’s double whammy in 2012 losing to Bradley and Marquez, Nonito Donaire’s 4-0 year, Lance Armstrong’s cycling ban, and all other sports events that have happened this year. 2012, will be one for the books for me.To end the year with a bang! 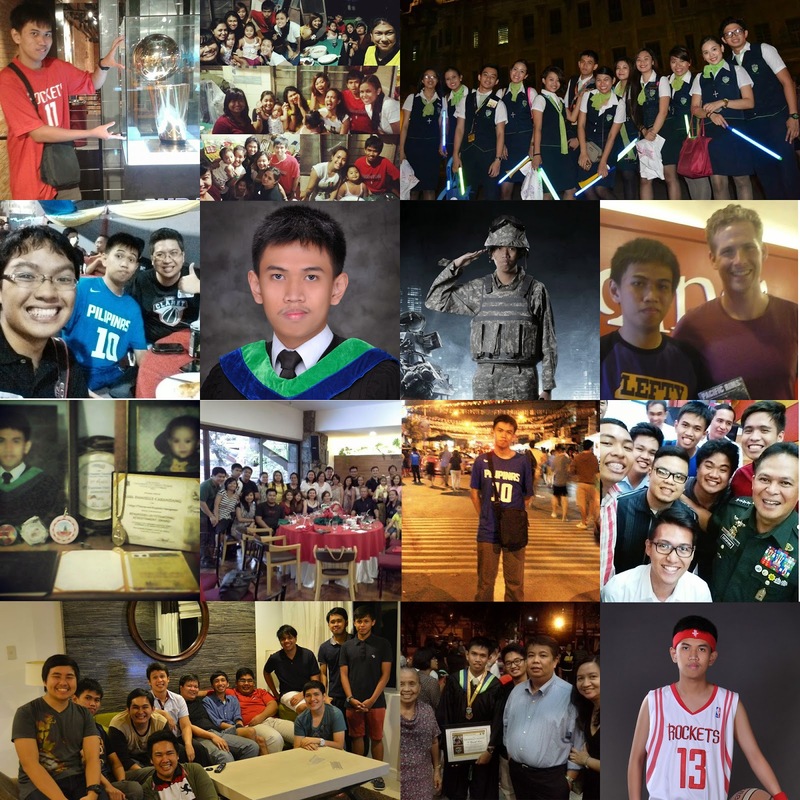 I would like to thank all the people who were a part of my 2012, my family, my relatives, to my troupes Tropa-Guise & MERALCO, to my blockmates in T5, to my batchmates in CTHM both Travel Management and HRM, my batchmates across the university, my other friends in the university, my high school friends, my old friends, to my friends outside of the Philippines, to all my mentors, and FINALLY to Godfor being the best guide of my life. Until then, cherish the good times this 2012 and leave all the heartbreak behind, let’s enjoy the fireworks and the medya noche later tonight, as we bid 2012 goodbye, and usher in 2013!